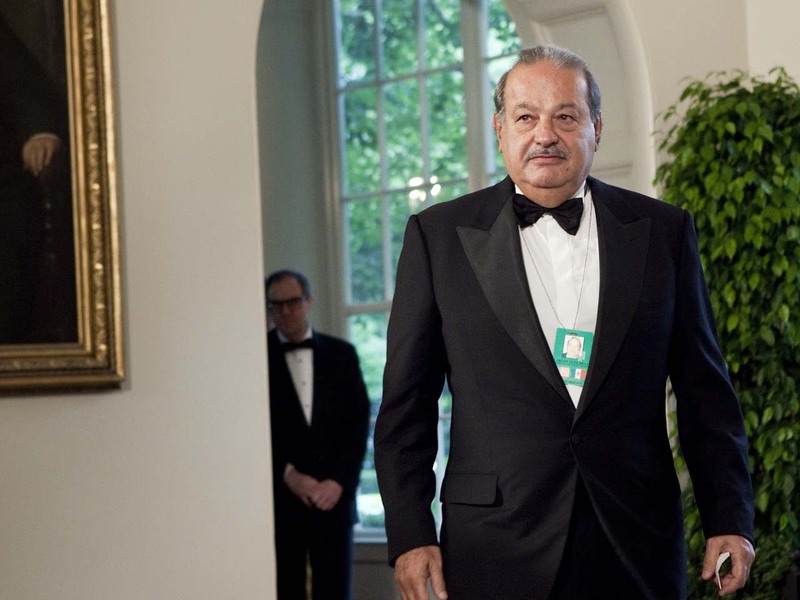 NEW YORK Mexico's Carlos Slim remains the world's richest man for the fourth year in a row, according to Forbes, while Warren Buffett dropped out of the top three for the first time since 2000. And Facebook's Mark Zuckerberg saw his ranking drop 31 spots as his net worth declined by $4.2 billion. A record 1,426 people around the world made Forbes magazine's latest annual count of billionaires, up 16 percent from last year. Their average net worth was $3.8 billion, rising 3 percent from 2012. The total net worth for the list's billionaires was $5.4 trillion, compared with $4.6 trillion a year ago. The U.S. continued to be home to the most billionaires in the world, with 442 of them. It was followed by the Asia-Pacific region, with Europe rounding out the top three. Slim's net worth increased to $73 billion from $69 billion a year earlier. Bill Gates of Microsoft Corp. held on to second place with a net worth of $67 billion. Berkshire Hathaway Inc.'s Buffett slipped to the fourth spot with a $53.5 billion net worth. Buffett was surpassed by Spanish clothier Amancio Ortega, who jumped two spots from 2012 with a net worth of $57 billion. While Buffett dropped in the rankings, he added $9.5 billion to his net worth -- making him the second-biggest gainer of the year. The largest gainer was Ortega, who added $19.5 billion to his net worth. There were 138 women on the list, up from 2012's 104. Liliane Bettencourt -- whose family owns a stake in L'Oreal -- is the world's richest woman with a net worth of $30 billion. Brazil's Eike Batista had the biggest drop in his net worth, with it declining $19.4 billion from the previous year. Facebook's Zuckerberg saw his net worth fall to $13.3 billion from $17.5 billion. His ranking fell to No. 66 from No. 35 in 2012. There were 60 people that dropped off the list, including Zynga's Mark Pincus and former Chesapeake Energy CEO Aubrey McClendon.